Alaska Native News Sep 12, 2018. 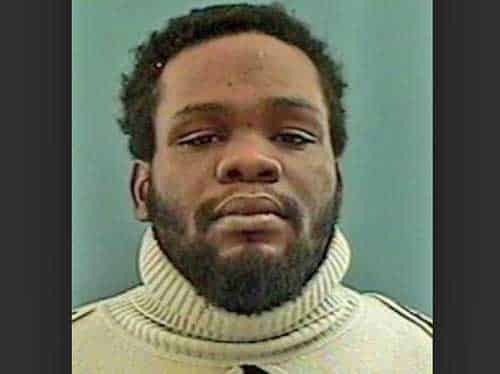 Anchorage police say that the Anchorage suspect wanted in the July slaying of Brittany Sparks is now in custody thanks in part to a tip from a citizen on Tuesday. Police say that following a tip from a call-in to Crime Stoppers, they responded to the 2600-block of East 17th Avenue on Tuesday and spotted Manslaughter suspect Clint Registe , age 36, walking through the neighborhood alone. They report that the arrest went forward without incident. Following his arrest, Registe was taken to the department where he was questioned, then remanded to the Anchorage Jail. On July 20th APD responded to a report of an accidental shooting on North Hoyt Street. When investigators responded, it was determined that the “accidental” shooting looked suspicious and Homicide Detectives took over the case. By the next day, detectives began seeking the whereabouts of Registe as a person of interest. On July 24th that would change when a felony manslaughter warrant was issued for his arrest. Vinelink shows Registe is still in custody at the Anchorage Jail with his bail set at $50,000.